One of the great myths of digital marketing is to think that PPC advertising can only be managed on Google and Facebook. In consequence, the most interesting and effective alternatives are ignored. Without a doubt, advertising on Amazon is one of them, and the fact that you do not exploit this channel does not mean it has less potential. In fact, are you familiar with the data that support this channel’s influence and power? The platform has more than 300 million users. In addition, it is estimated that 80 million more will become Amazon Prime members only in the United States. 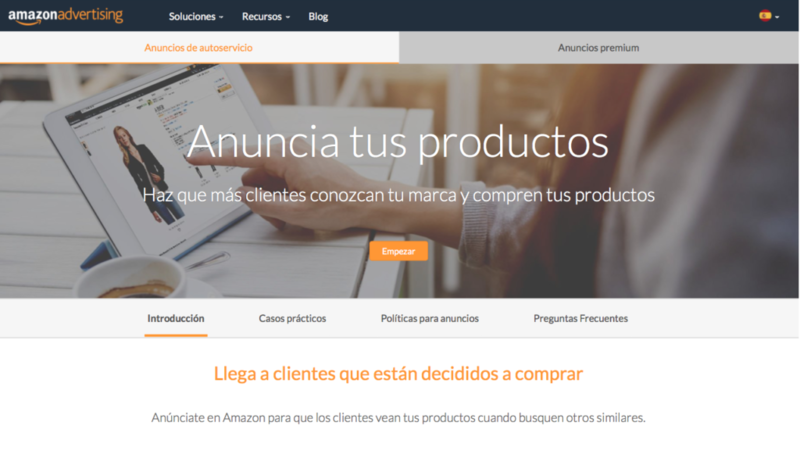 Does Spain have the same potential as to make advertising on Amazon interesting for your business? A survey carried out by the Organization of Consumers and Users (OCU) shows that Amazon’s control over ecommerce in Spain continues in crescendo. Think of it like this. It is a space that is available 24 hours a day, 365 days a year. That means any time is good to make a purchase. In addition, according to the data of IAB Spain, this platform is already capable of attracting 7 out of 10 Internet users within the country. These generate an average of €75 for each purchase. But best of all, they repeat that process an average of 2.4 times. In other words, they move about 25,000 million Euros. 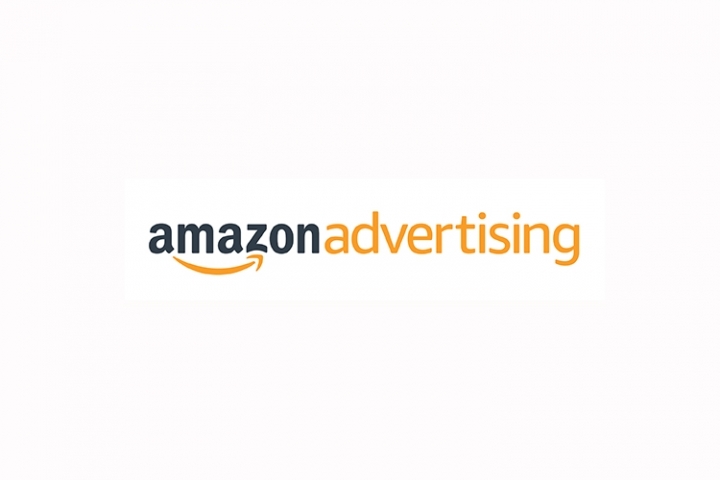 So, do you still think advertising on Amazon is not an option for you? What exactly is advertising on Amazon? Advertisers who work to achieve greater visibility on Amazon can pay for those positions. Offers are made for specific keywords that aim to achieve greater visibility in the platform’s SERPs. Then, when a customer clicks on the ad, the advertiser is charged. 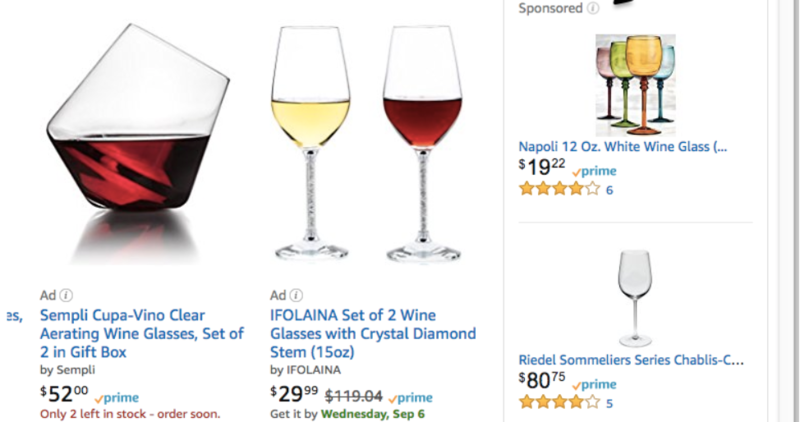 But besides working on advertising on Amazon in order to achieve better positioning, there are also ads to stand out on specific product pages. For example, on a page for a laptop cover, there appears an ad for a mouse on its right side. But are these all the options advertising on Amazon has? Sponsored products are ads for products sold by merchants on Amazon.es. By clicking on a sponsored ad, you will open an Amazon detail page, where you will be able to see more information and buy the product. But now the million dollar question is another. Should you really advertise on Amazon? You will know the answer by answering a very simple question. Are you selling a tangible product that customers can buy online? If the answer is yes, you should advertise on Amazon. But without a doubt, you should move little by little. For example, if you sell sports equipment and tennis rackets are your flagship product, start with an ad for your best-selling racket. Once you start seeing a favorable ROI, continue with more items. Another compelling reason to advertise on Amazon is that your Amazon organic rankings will also improve with PPC campaigns. The sales history is a very strong classification factor. If a product sells better, Amazon will place it higher in the search results ranking. Therefore, it is not only possible to increase your products sales by investing in advertising on Amazon, but you could also boost your organic positioning. To start advertising on Amazon, the first thing have to do is log in into your seller account. Once you have logged in, you will have to set up your campaigns. Although at this point, the most interesting is for you to know all the options. Ads for sponsored product work in a very similar way to the Google Shopping network. 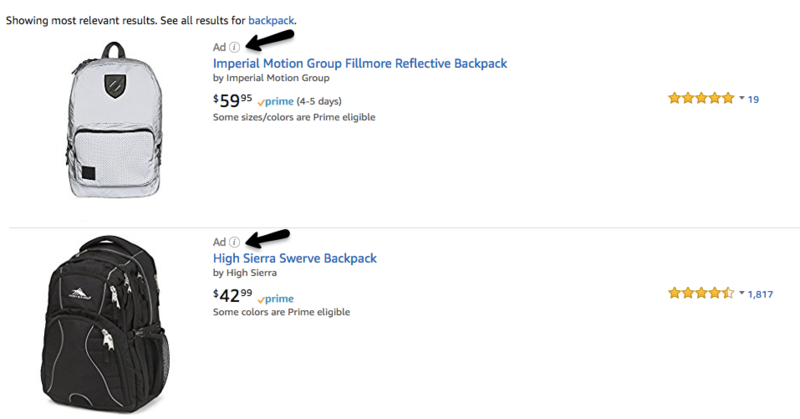 These are ads directing Amazon search engines directly to a specific product that is being sold on the platform. As explained above, when customers click on your ad, they will reach a more detailed page. Moreover, these pieces are usually placed above or below the search results page, although it is also usual to find them on specific product pages. Headline search ads appear on the results pages and they are paid per click ads. In general, each piece belongs to a custom brand. If you look at the example, you will see that each product includes the phrase “Sponsored by” followed by the brand’s name. These kinds of ads are also created based on keywords and can be used to promote more than 3 products. Lastly, you can find this category which works in a somewhat different way. These ads are not created based on keywords. Instead, they are displayed based on interests. That is, they lead customers to product pages. In this case, advertisers have the possibility of choosing from a long list of products or interests to direct their campaigns. But even so, it is important to keep in mind that each campaign is limited to a particular objective. 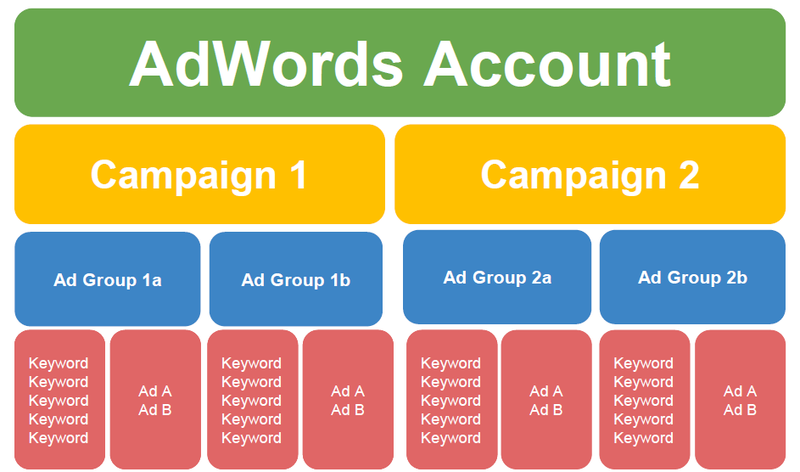 If you are an experienced AdWords advertiser, you will most likely know how to manage this field. In fact, you could use your AdWords management skills to structure your campaigns and ad groups on Amazon. The best strategy is to segment each campaign by product categories and to employ a hierarchy similar to the one on the image. In this way, you can then create more specific ad groups. You need to make sure that your ad’s text is not only accurate in terms of sale, but also creative and attractive in order to sell. Including a sense of urgency, appealing to emotions or using humor is very important to persuade the client. For example, if you are presenting a special offer, be sure to highlight it in your piece, as it is done in the example. You ad’s copy must be very specific and show clearly what you are selling. For example, if you are selling sports water bottle, the prospective buyer would like to know whether it has a certain capacity, whether it keeps the contents cold for a few hours, etc. When planning your next advertising campaign on Amazon, do not forget your most powerful competitors. For example, if you sell backpacks, it is ideal that you bid for keywords such as “Northface backpacks,” because this is a brand that users usually look for and buy. This will help you gain visibility and show yourself to potential prospects. To find your main competitors on Amazon, it is a good idea to carry out a generic search on the platform. 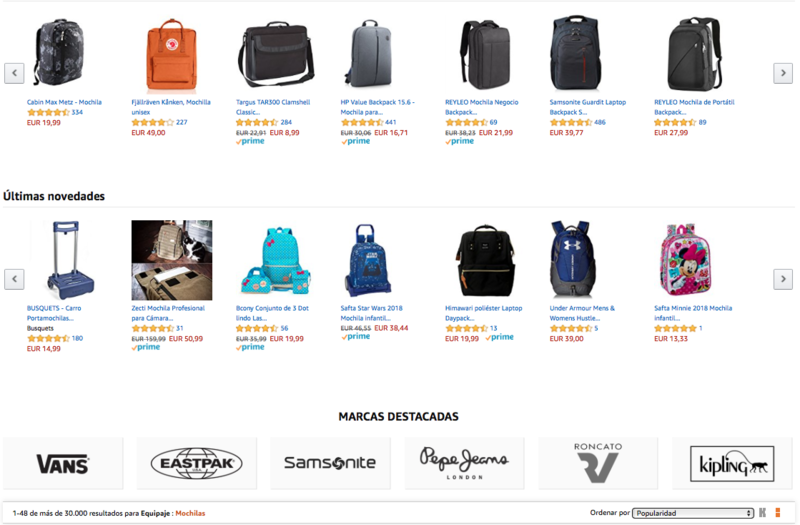 When you search for “backpacks,” you will see the most sold categories and the most prominent brands. While sponsored product ads can give you the fastest ROI, other kinds of ads can help you build customer loyalty. Therefore, when advertising on Amazon, it is most advisable that you experiment in order to discover how each kind of content can help you. So, once you know what offers you the best performance, you can launch campaigns that are more specific. 6.- Do negative keywords work? This technique prevents the ad from activating with a certain word or phrase. In fact, negative keywords are terms that, once they are added to your PPC campaigns, prevent your ads from showing when users include them in their searches. If you wish to improve your advertising on Amazon, if you want to improve your positioning on the platform and obtain a favorable ROI, you still have an opportunity to catch up. At Antevenio we specialize in capturing leads at the lowest possible cost. Contact us!